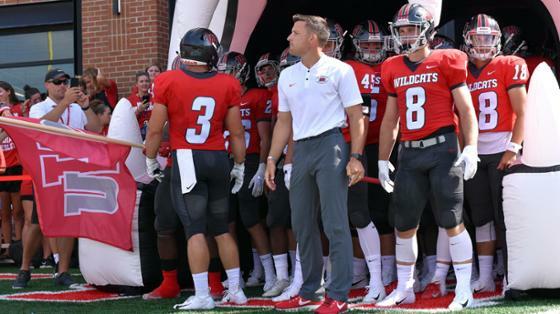 Indiana Wesleyan University Football Head Coach Jordan Langs has been selected to the 2019 35 Under 35 Coaches Leadership Institute by the American Football Coaches Association (AFCA). Langs is one of the 35 coaches under the age of 35 years old to receive the prestigious recognition out of hundreds of applicants. In order to be eligible, applicants had to be born on or after Jan. 1, 1984, and must be currently serving as a high school head coach, two-year college full-time assistant or head coach, or NAIA/NCAA (all divisions) full-time or head coach. The AFCA created the prestigious program aimed at identifying and developing premier, future leaders in the football coaching profession. As a selected participant of 35 Under 35, Langs will attend a one-day institute that features a curriculum of interactive lectures focused on topics specifically tailored to emphasize leadership in the coaching profession, ethics, influential responsibilities, career progression and family balance. Langs will participate in the 35 Under 35 Coaches Leadership Institute during the AFCA National Convention on Jan. 6-9, 2019 in San Antonio, Texas. 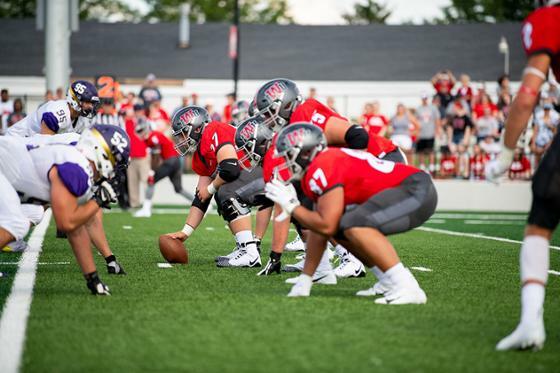 Langs joined IWU in 2016 with the start of the football program. He led the Wildcats in their first official season this year with a successful 7-3 record.